On March 1, 2016, the Heard Island Expedition Team boards a flight for Cape Town, South Africa. They plan to carry out a variety of tasks related to the study of climate change. In the fall of 2015, we were contacted by their crew to discuss this expedition. The research team was looking for an acoustic material to use in their operations facility, which will be constructed from an Airbeam tent. This temporary facility will used for a range of activities, involving meeting, eating and communications. Working in close quarters has many challenges. Reducing generated noise and increasing privacy for the crew were important goals to achieve during the initial design phase. Unfortunately, their options for acoustical treatment were limited. 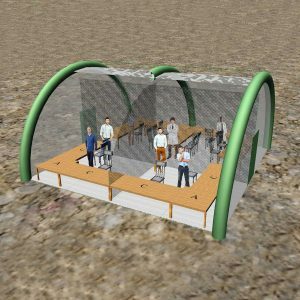 They could not mount acoustical material to the walls of a temporary structure. To solve this problem, the crew needed a dual-purpose material: one that could provide both a quiet working environment and also serve as a partition for different work areas. 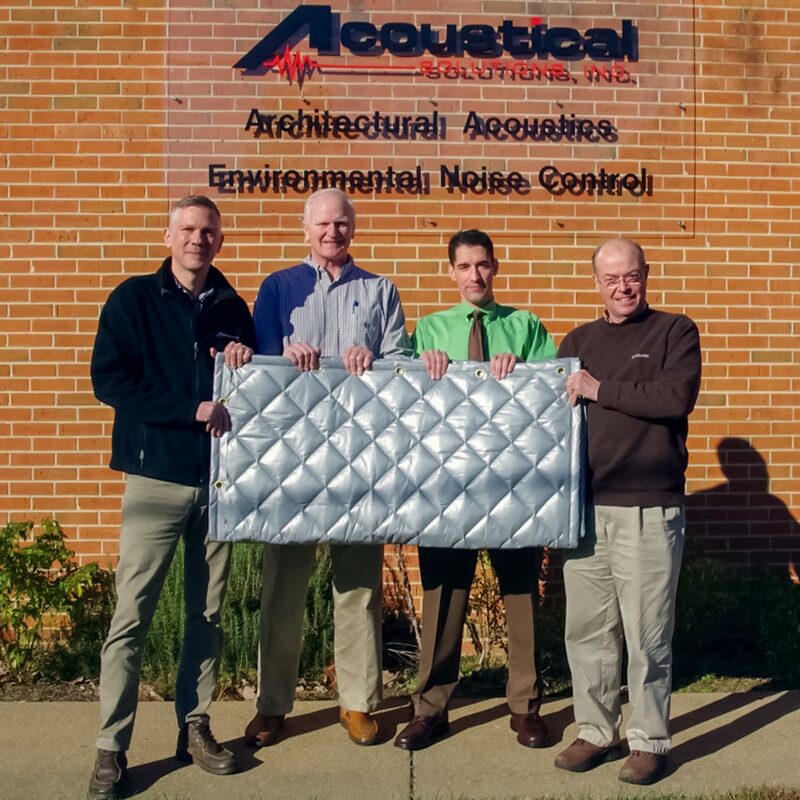 The AQFA-10 Sound Absorber Blankets were a perfect fit for this project. The blankets offer the necessary sound absorption so the expedition can quietly carry out their duties. Also, they are durable, flexible, and lightweight. They can easily be suspended from an existing structure using factory installed grommets. Finally, the blankets can be easily folded up for shipping along with the rest of the equipment for the long voyage. As you can see in the rendered images of the facility, the blankets will be hung and used as a partition to provide separate work areas for the crew. We customized these quilted blankets with extra grommets around the perimeter edge. This is to provide maximum flexibility when the crew installs them on site. Not only will these blankets help to reduce the noise and improve productivity, they will also help add to the insulation value of the structure. It was a pleasure to work with them on this project. We wish them the best of luck on their journey!